The World Association of Zoos and Aquariums (WAZA) believes the Thomas Cook travel agency failed to consider the significant global conservation impact of SeaWorld and Loro Parque, as well as their continued dedication to high levels of welfare for animals in their care, when it announced this week that it would no longer include the marine parks in its travel packages. Thomas Cook officials said in a statement that the company will no longer include institutions that keep orcas in captivity in their tours. 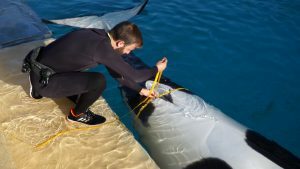 SeaWorld, based in the United States, has rescued over 31,000 animals in the past five decades through its SeaWorld Cares programme, including pilot whales, dolphins and manatees, among others. The SeaWorld & Busch Gardens Conservation Fund has also provided more than $14 million to animal and habitat conservation projects around the world. Spain-based Loro Parque, meanwhile, recently launched a €2 million, four-year programme in collaboration with the government of the Canary Islands to study the effects of climate change in the sea, focusing on species such as algae, angel sharks and sea turtles. Loro Parque has also contributed more than $19 million to over 150 conservation projects globally, and research programs at Loro Parque have contributed to the development of prototype bioacoustics and automatic detection of orca vocalizations devices in aid of open sea killer whale protection. Both SeaWorld and Loro Parque are members of WAZA as well as members of national associations, the Association of Zoos and Aquariums (AZA) and the European Association of Zoos and Aquaria (EAZA), respectively. Both parks have passed strict welfare audits by Global Spirit Animals in Tourism Limited and have obtained 100% of the minimum standards required by the Association of British Travel Agents’ (ABTA) Global Welfare Guidance for Animals in Tourism policy. Loro Parque will also host the 77th WAZA Annual Conference in 2022. 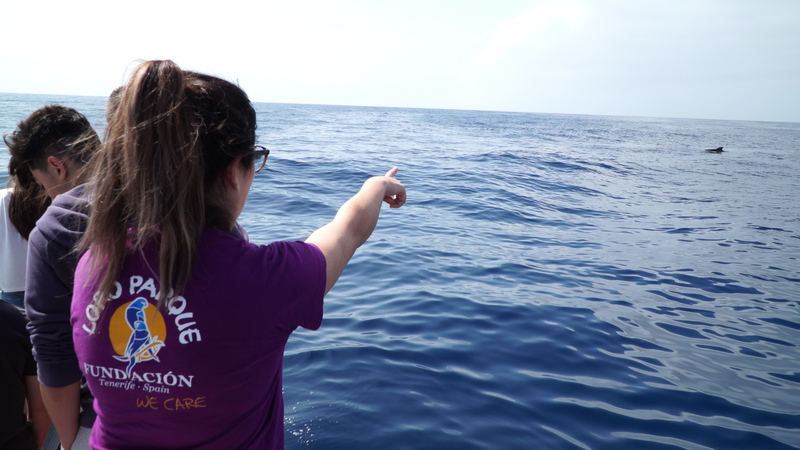 WAZA has committed its members to promoting high levels of animal welfare and issues such as marine litter, sustainable development and the elimination of single-use plastic, and SeaWorld and Loro Parque will remain pivotal players in all those efforts. Last week, as a Southern Resident killer whale (SRKW) mother was photographed off the Washington state coast pushing her deceased newborn toward San Juan Island, a heartbreaking glimpse into the plight of this endangered killer whale population in the wild, a British travel company made a ham-fisted announcement that somehow in the name of “animal welfare” it will no longer sell tickets to zoological parks that display killer whales. Widespread condemnation of the move was swift as other travel companies and the zoological community noted the irony of the company banning ticket sales to the two leading accredited and humane-certified parks that contribute so much to scientific research, education and conservation work to protect killer whales in the wild. The CEO of another travel company criticized the decision, calling it “misguided” and noting that “…there are bigger and better fights to be had that would have an impact on animal welfare….” He was right. Meanwhile, as the SRKW population of only 75 has continued to dwindle (the dead calf was the first to be born in three years), scientists at SeaWorld were conducting research on their killer whales’ milk composition to understand the nutritional requirements for mothers and calves to determine if prey availability is sufficient to meet the nutritional needs of killer whales in the wild, information that is critically important because, as the Associated Press has noted, “…they’re not getting enough of the large, fatty Chinook salmon that make up their main diet.” In fact, scientists that study the SRKW population, like Ken Balcomb from the Center for Whale Research on San Juan Island, believe aggressive measures are needed to save the endangered population such as removing up to four dams on the lower Snake River to restore salmon runs. The death of a newborn orca this past week is not an isolated incident for this endangered killer whale population. In the past month, a four-year-old juvenile that was part of the 2014-2016 SRKW “baby boom” was observed by field researchers to be severely emaciated. Of the 11 calves born during that hopeful time, less than half remain alive today, and scientists don’t expect this juvenile to survive. This only underscores the need to continue to fund research and implement meaningful conservation measures to help wild orcas, work that is undermined by the decision of this travel company to phase out ticket sales by next summer to parks doing work that could help save this population. 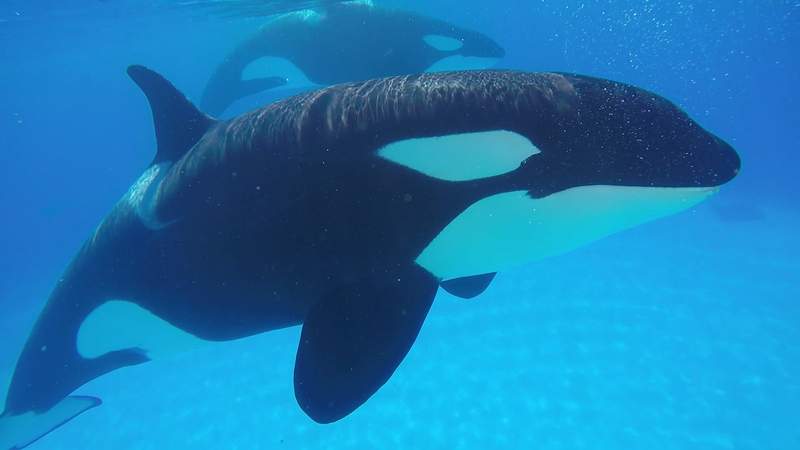 Scientific investigation of adult and calf nutritional requirements is just part of SeaWorld’s $10 million pledge to fund research and other conservation activities for killer whales, the largest private commitment of its kind. Other risks to cetaceans include toxins possibly transferred during pregnancy and lactation to offspring that may be causes for reduced pregnancy success and increased health issues in wild killer whales. Researchers were also studying pregnancy and lactation on SeaWorld’s killer whales to understand how the whales metabolize toxins—that is, until pressure from animal rights activists forced SeaWorld to stop breeding its killer whales, bringing an incomplete end to this important research. The other park impacted by the British travel company’s decision, Spain’s Loro Parque, also contributes to orca research in the areas of bioacoustics, diet, and environmental contaminant effects in wild killer whales, including research on the potential effects of toxins on reproduction and validating a new method of sonar technology to remotely measure body dimensions of wild whales, to name just a few of the recent and ongoing research projects supported by patrons of this world-class facility through their admissions tickets. In truth, zoos and aquariums are among the major funders of in situ and ex situ conservation projects and research that benefit a wide range of animals in the wild. Several critically endangered species have increased their populations through zoo and aquarium breeding programs, including the California condor, the black-footed ferret, the whooping crane, and the Arabian onyx. Zoos and aquariums also rescue and rehabilitate thousands of sick and injured animals in the wild each year, giving permanent homes to those that can’t be released back into the wild. The education and conservation messages of zoos, aquariums and marine parks reach millions of people each year. Their popular interactive programs help facilitate a powerful human-animal bond that inspires visitors to want to help conserve animals in the wild. And zoological training professionals develop and share science-based animal husbandry and best practices, work hard, and make real sacrifices with their personal lives to ensure the animals in their care have amazing, enriched lives and the best possible welfare. These positive conservation outcomes are possible because of revenue generated through visits to these and other zoos, aquariums and marine parks each year. Yet a travel company pressured by activists apparently thinks it’s helping animals with its decision to stop selling tickets to zoological facilities that exhibit species to which it objects—even when those institutions passed with flying colors animal welfare inspections based on the animal rights-activist-inspired criteria the company itself embraced, and even though that same company has no zoological knowledge or expertise. Both impacted zoological institutions are in fact accredited by long-standing, more experienced, knowledgeable and respected accrediting and certification bodies, including the Alliance of Marine Mammal Parks and Aquariums, the American Humane Association, the Association of Zoos and Aquariums, and others. They didn’t need the extra validation from the new travel certification recognized by this company, but they willingly subjected themselves to it in the spirit of good will because they are proud and confident of their animal care and welfare standards and have nothing to hide. 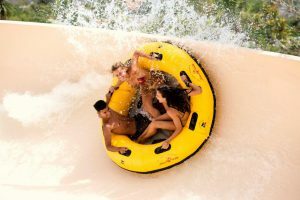 Not surprisingly, the parks passed the required 100 percent on their inspections, only to be rewarded with the surprise announcement by the travel company that ticket sales to their parks would be dropped beginning next summer. 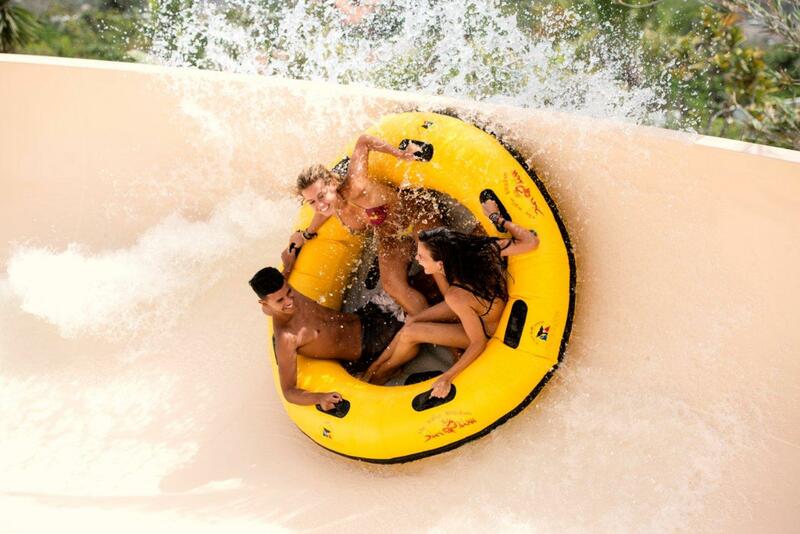 First of all, Loro Parque wants to publicly express its gratitude to the more than a million visitors that have come to our park with Thomas Cook during the last 45 years. In all these years we have not received a single complaint from any of them regarding the welfare of our animals. In April 2017 Loro Parque was inspected by Global Spirit (a company linked to the Born Free Foundation) following the request of Thomas Cook, in order to determine the compliance of our facilities and procedures with the ABTA animal welfare standards. The inspection obtained the highest score (100% of compliance), which guarantees that not only the orcas, but all the animals in Loro Parque have the best welfare conditions under the strict regulations of the Association of British Tour Agents. 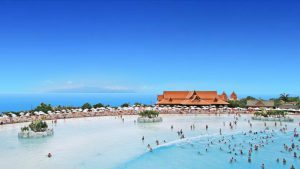 The decision of Thomas Cook not only diminishes the value of this inspection, but also is against the animal welfare regulations of ABTA, which are the most rigorous of the world. 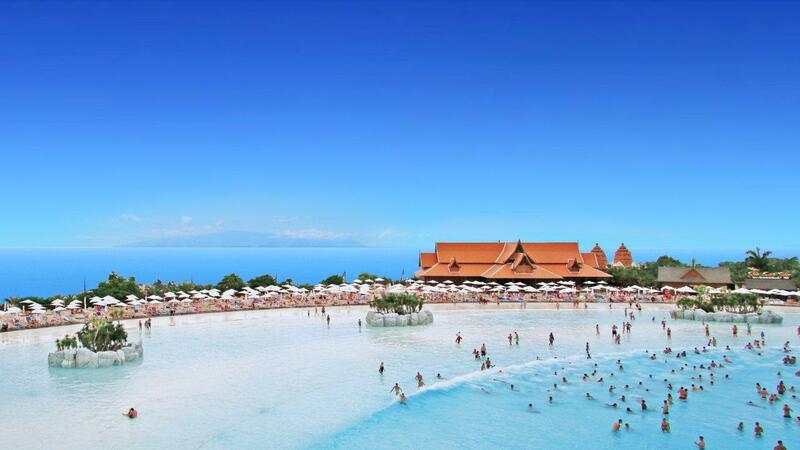 Thomas Cook sustains that its decision is based on scientific evidence, but fails to provide any. They also argue that 90% of their clients are concerned about animal welfare, but it does not mean that they have expressed concerns about the orcas housed at Loro Parque. In our company not only 90% but 100% of our staff is concerned about animal welfare, and we proudly work every day to provide every single animal under our care with the outmost love and respect. 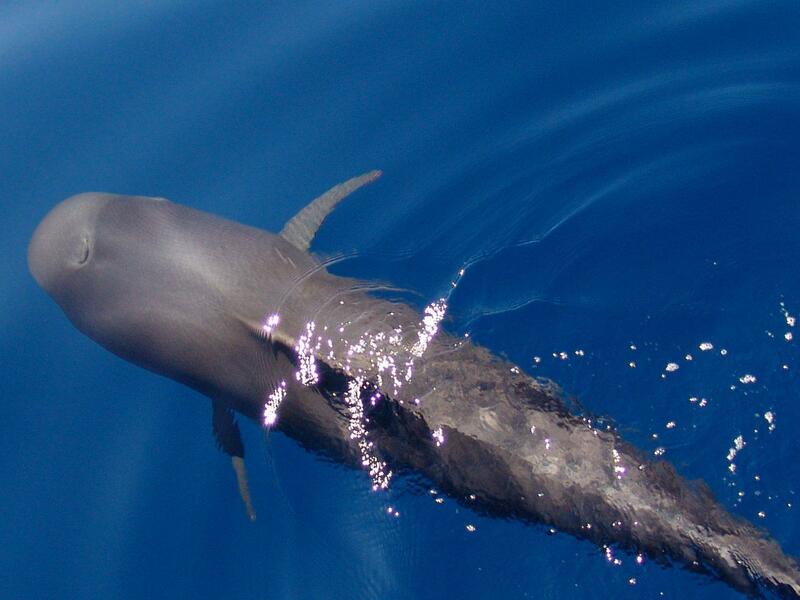 That’s the reason why we have obtained the maximum qualifications, not only by Global Spirit, but also by the American Humane, TÜV, the European Association of Zoos and Aquaria, the Iberian Association of Zoos and Aquaria, the European Association for Aquatic Mammals or the Alliance for Marine Mammal Parks and Aquariums. This is a clear proof of excellence in animal care, and excellence is the main reason why Loro Parque has been also honoured with the Trip Advisor’s Travellers Choice Award as the best zoo in the world. 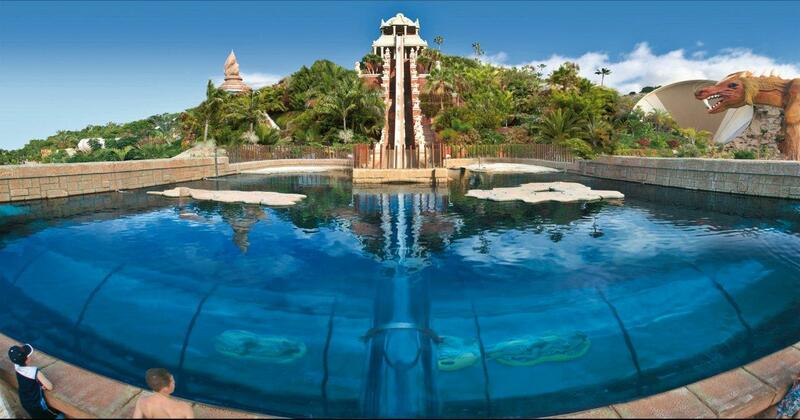 There is no doubt that many of the visitors that voted to give this award to Loro Parque were Thomas Cook clients. In fact Loro Parque is the highest decorated zoo in the world having received every single Gold Medal on regional and national level in Spain as well as the highest distinction that any company in Spain can receive: the Prince Felipe Award of Entrepreneurial Excellence. Furthermore, Loro Parque founded in 1994 led Loro Parque Fundación which has invested until today more than 19 million US dollars in over 150 conservation projects worldwide. As a result nine parrot species have been saved from extinction and many others have improved their population in the wild. The decision of Thomas Cook is clearly led by anti-zoo organizations leaded by a minority of activists not really concerned about the animals, but just aimed in destroying the zoos and their conservation, research and educational activities. But this will not change our determination to continue working for the welfare of every single animal in this world, and for the conservation of the biodiversity in a planet threatened by the sixth extinction as has been scientifically proven. Already now with 700 million visitors in zoos worldwide it is clear that a zoo visit is a highly demanded activity which in light of the destruction of our nature and environment will become an absolute “must” in the future. Fortunately, Loro Parque is this year welcoming more visitors than ever, and even without the partnership of Thomas Cook we will continue offering all our visitors a unique opportunity to get to know the wonders of wildlife and become part of our mission: to protect and preserve the animals and their natural habitats for future generations. Loro Parque, the best zoo in the world according to TripAdvisor, already has everything ready to receive Morgan’s calf, which is expected to arrive by the end of summer. Both the Parque’s veterinarians and the external consultants, who monitor Morgan’s pregnancy closely, have been working to ensure that all aspects are under control to deal with any situation that may arise at the time of birth. 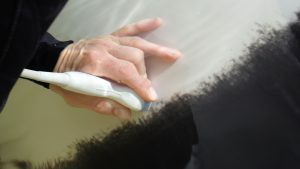 Dr. Geraldine Lacave, a Belgian veterinary & specialist in marine mammal, who has been a consultant to Loro Parque for over 10 years, explained how thorough the checks on Morgan’s pregnancy are carried out, thanks to an ultrasound scanner that examines her almost daily and controls that everything is going perfectly, both with Morgan and with the foetus. The aim now, is to determine as precisely as possible the date of birth as, although some indicators are known, there is generally little experience with the birth of these animals. 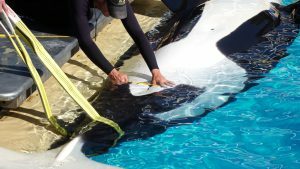 To this end, they regularly monitor Morgan’s body temperature, because it is known to drop by one degree about 24 hours before the calf is born; they measure the circumference of different parts of her body, because it’s expected to grow considerably a few weeks prior to birth; they update a behavioural record in which they monitor her swimming style, her relationship with other animals, etc., and calculate the distance between the two breast folds, which will be greater in the days leading up to calving, among other indicators. 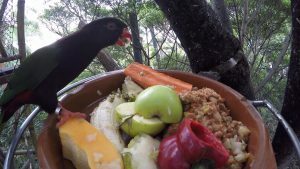 Dr. Jorge Soares, Veterinary Director of Loro Parque, has pointed out that Morgan’s history throws some uncertainty over the immediate moments of childbirth, because it could have an impact on her behaviour as a first time Mum, and it’s not known how she and the rest of the group will react. That is precisely why there is a whole team of experts who work daily to be prepared for any circumstance. In this regard, Dr. Lacave explains that an action protocol has been prepared in the event that there is a difficult birth. Although what is most likely, she says, is that “The baby will be born, rise to the surface, breathe, and then go swimming peacefully off with its mother” it would also be within the bounds of normality for Morgan or the baby to need some help. In which case, all personnel are prepared to act. In addition, as soon as the estimated date of birth approaches, a round the clock guard will be activated augmenting the usual 24-hour security surveillance on the premises. Thus, a team of people will continuously observe Morgan’s behaviour, breathing rate, activity, etc. “The trainers live with these animals every day, they know them very well and they are likely to detect their behavioural changes more accurately than any scientific indication,” says Lacave. This watch will be extended once the calf is born at least for a while, to check that everything is going well. Loro Parque is finalising the development of a tablet application that will allow them to record, analyse and share in real time all the data collected in the observations (respiratory rate, lactation, behaviour, etc.) with the veterinary staff and external consultants. 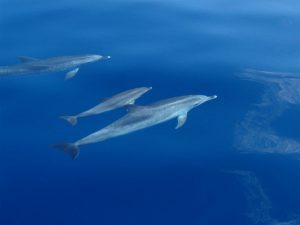 Both Soares and Lacave explain that, in cetaceans, babies’ immune systems are very weak, since, for a short period of time – about a month, they receive immunity through colostrum and breast milk – known as passive immunity, and then begin to form their own immunity little by little until they reach adulthood about a year later. Hence the sensitivity of this first phase, in which any injury or infection could pose many risks. However, these are inferences made from the study of dolphins, of which much more is known, because not many people have handled such a young baby orca. Therefore, this is a great opportunity to learn more about orca calves and breeding, which will help populations in the wild. Given that the current population of killer whales in the Western Pacific area is believed to have been sterile for some years now due to the concentration of chemical contaminants in the water, all the knowledge that a case such as Morgan’s can provide will be of enormous value. In Loro Parque, where the news of this orca’s pregnancy at the end of last year was a source of great joy, everyone is looking forward to the arrival of the calf. “We hope that in September we will have a new super-healthy orca and a super-happy Mum in Morgan” says Soares. 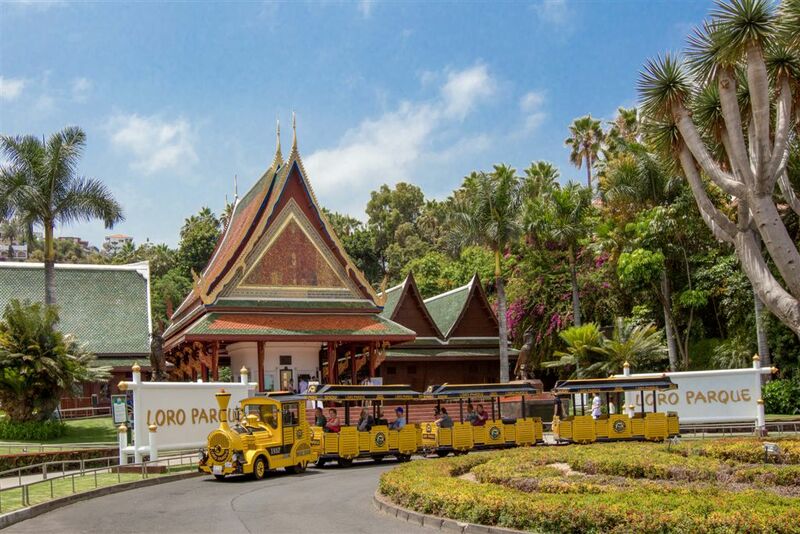 Loro Parque has expressed its satisfaction with the news of the readmission of Nestlé to the Round Table on Sustainable Palm Oil (RSPO), after the company committed to comply with its regulations to achieve 100 per cent sustainable and certified palm oil by 2023. This step towards environmental conservation underscores the important role zoos like Loro Parque play in promoting a more sustainable world that respects nature and wildlife. Following this news, the World Association of Zoos and Aquariums (WAZA) has announced that it will continue to promote Nestlé, among the 700 million users who visit their members each year, as a brand committed to sustainability. In addition, they reiterated the importance for the Association and all the zoos and aquariums attached to it, of Nestlé working towards achieving 100 per cent sustainable and certified palm oil in all its products. This commitment will undoubtedly have a positive impact on the environment, as the RSPO ensures that the plantations are managed and certified to ensure that they do not affect biodiversity, and that the production of palm oil – which, as far as consumer health is concerned, is like any other saturated oil – does not harm species that are in a serious state of vulnerability, such as Indonesian orangutans or elephants, by the transformation of their forest habitats into plantations. Even if consumers are aware of the problem, without information they cannot choose to avoid products containing unsustainable palm oil. This is why, Loro Parque, through the Loro Parque Foundation and as part of its educational work, has been raising awareness of the effects of its use for years, and their support for this request from WAZA represents a further step in its deep commitment to the protection of biodiversity and species such as elephants and orangutans, which are in danger of extinction. 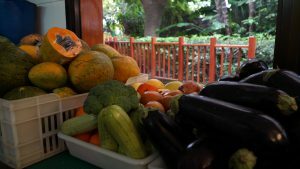 Loro Parque, the world’s best zoo according to TripAdvisor, continues to strengthen its commitment to sustainability thanks to the advances it has made in its organic farming, which supplies food for its animals and even its restaurants. 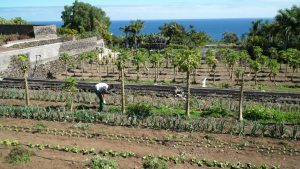 This year, its farms have been registered with the Instituto Canario de Calidad Agroalimentaria (ICCA) – Canarian Institute of Food Agriculture – which guarantees the safety, reliability and quality of all its products. The novel tropical crops that the Parque has recently introduced to its farms, such as lychee, longan, red and green atemoya, custard apple, soursop and tree tomatoes, are used to make juices for customers and can also be included in the diet of some animals. These new species bring even more balance to the rich and varied diet of Loro Parque’s animals, which also enjoy fruit such as different varieties of mango from different continents, star fruit and papaya. All the products from the farms of the Portuense Zoo are treated biologically and ecologically, and recently, predatory insects that are beneficial to the plantations have been used to combat other harmful insects without causing any damage to the crops. 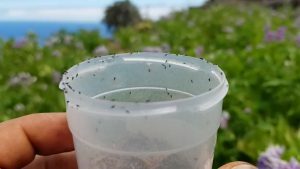 In the case of banana plantations, for example, pheromone traps have been set and bugs have been released to eliminate red spider mites. 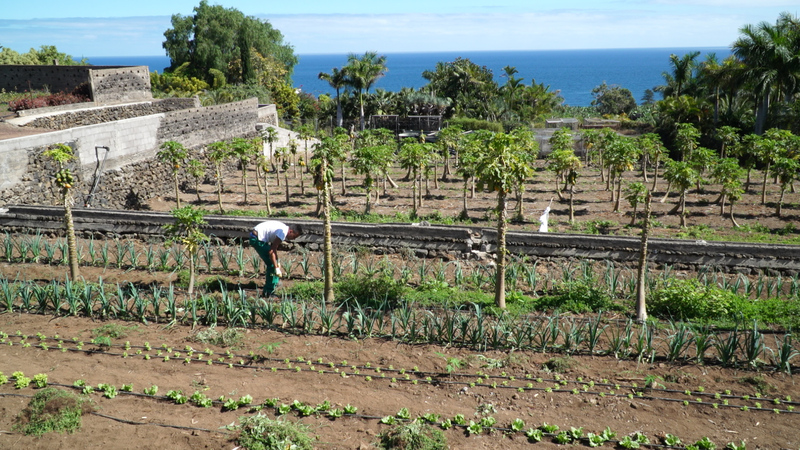 In addition, we have continued to look after our vegetable cultivation, trying to recover the old Canary potato strains for the Parque’s restaurants and introducing other vegetables such as peppers, with the aim of having them available all year round and thus be able to offer them to animals and customers. Like the other plantations, their treatment is totally ecological and no insecticides are used that could leave any kind of residue. As reinforcement, sulphur-based products which are environmentally friendly are used to increase pollination. Loro Parque has joined the World Association of Zoos and Aquariums (WAZA) in asking Nestlé to return to compliance with the regulations of the Round Table on Sustainable Palm Oil (RSPO), from which it was suspended on June 28. WAZA and several of its members, such as the Portuense zoo, have asked this food giant to submit a detailed report explaining that it will henceforth commit itself to using sustainable and certified palm oil, or at least will work towards achieving sustainability in the medium to long term. In this formal petition, the zoological institutions state that they would prefer to promote Nestlé, among the 700 million users who visit them each year, as a brand committed to sustainability. If they do not comply with the requirements of the RSPO within the established term, they assure that they will reconsider their relationship with the company and will even stop selling their products in their parks. The impact of the exploitation of oil palm trees on biodiversity is such that some species are in a serious state of vulnerability due to the transformation of their forests into plantations. This is the case of Indonesian orangutans which are critically endangered and elephants, which have seen their habitats progressively depleted by deforestation. But even if consumers are aware of the problem, without information they cannot choose to avoid products containing palm oil. For this reason, Loro Parque, through the Loro Parque Foundation and as part of its educational work, has been raising awareness of the effects of its use for years, and support for this request from WAZA represents a further step in its commitment to the protection of biodiversity and species such as elephants and orangutans, which are in danger of extinction. Loro Parque, as a wildlife conservation centre, will closely monitor the evolution of this case and take steps, if necessary, to ensure the exclusive promotion of products that use certified and sustainable palm oil, or those products that have already taken steps to achieve medium to long term sustainability. Loro Parque Foundation is launching today, Friday July 13, a pioneering project to study the effects of climate change in the sea, with the support of the Canary Islands Government. The project foresees an investment of two million euros over four years, spread over several lines of work, ranging from the monitoring of marine chemistry parameters to the study of algae, angelsharks and sea turtles. The institution, based in what has been recognised as the world’s best zoo, will thus help to provide as much information as possible to monitor the effects of this global change on the Canary Islands. This agreement between the Foundation and the Canary Islands Government has been reached after a detailed technical evaluation with research groups from the two Canary Islands universities and other scientific research centres, and will initiate the development of a coastal network to monitor marine environmental parameters linked to climate change, ocean acidification and underwater noise pollution, as well as their effects on marine biodiversity in the Canary Islands. The project’s activities will focus on three main themes: CO2 absorption in the ocean, climate change and ocean acidification; the acoustic environment, underwater noise and its effects on marine fauna and the loss of marine biodiversity and the effects on island species and marine ecosystems. All these actions establish synergies with previous activities of the Loro Parque Foundation in the archipelago and, in each case, will allow us to obtain essential information with which to interpret the effects that global change will produce on the marine organisms of the Canary Islands and the Macaronesia. Thus the region will become a world reference point, providing relevant data on climate change for the international community, while at the same time helping to diagnose the effects of global change in the region. In addition, this agreement will lay the foundations to guarantee the future development of time-series stations and oceanic measurements in the region, with technology produced in the Canary Islands. Hereby, Loro Parque Foundation reinforces its commitment to becoming a scientific and technological reference within the framework of global change and the Blue Economy. 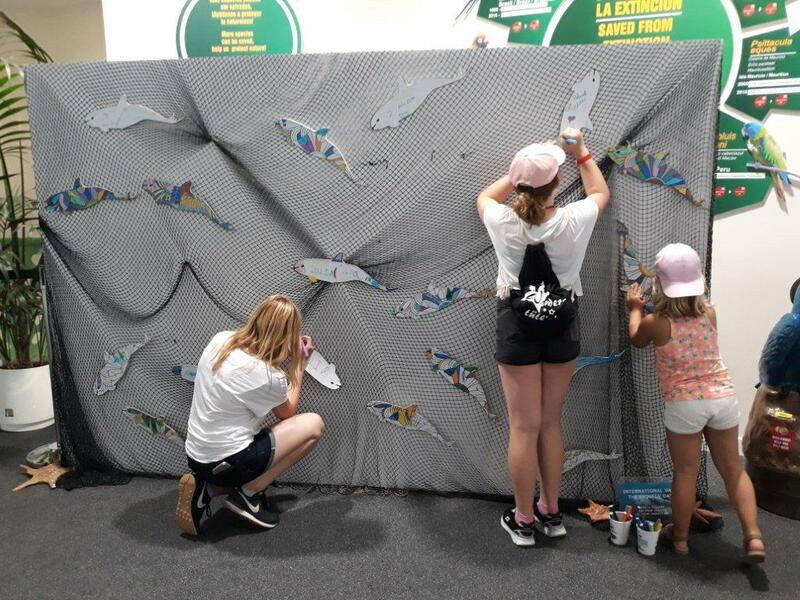 Loro Parque Foundation dedicated the weekend to raising awareness about the status of the vaquita, the world’s most endangered cetacean, which is on the verge of extinction. 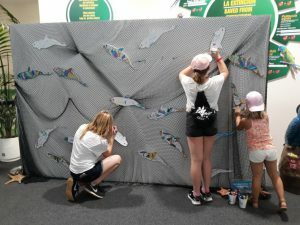 On the occasion of the celebration of the International Day to Save the Vaquita, the Foundation organised various activities in Animal Embassy – its headquarters in Loro Parque – which alerted Parque visitors to the imminent disappearance of the species. 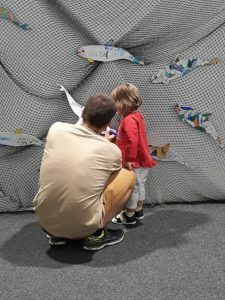 The exhibition of a large net with 18 vaquitas hanging from it – the number estimated by the International Union for the Conservation of Nature that remain in the world – that visitors could paint and personalise as they passed through Animal Embassy, had a significant impact. It was a graphic representation of the agonising situation faced by these cetaceans, which seem so difficult to save from extinction. 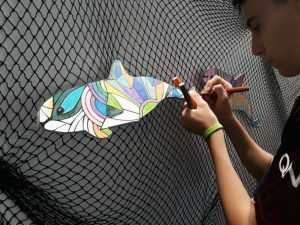 Also, as part of this campaign, the Loro Parque Foundation has joined the Alliance of Marine Mammal Parks and Aquariums (AMMPA) in distributing a video that gives a voice to the marine vaquitas and can be viewed at the following link: http://wildlensinc.org/wildlifespeaks/vaquitapsa/english. Supporting a cause such as that of the vaquitas, both the Loro Parque Foundation and Loro Parque reiterate the importance of zoos and aquariums for the conservation of endangered species by creating a genetic reserve to ensure their survival. 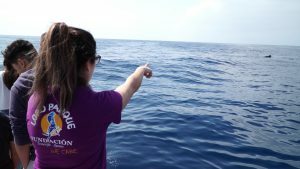 In addition, they strengthen the importance of their role in increasing existing knowledge about the different species, because all the information that has been provided by the breeding of other cetaceans under human care could be applied, for example, to the vaquitas. Although it may be too late to breed these cetaceans of the Gulf of California under human care, and thus avoid their extinction, their case should serve as an example for the future, to protect other species against this fatal outcome that, in the case of the vaquitas, seems imminent. To learn more about the cause: http://vaquitafilm.com.